Moscow and Beijing have agreed “to appropriately deal with the latest nuclear test conducted by North Korea”. Chinese President Xi Jinping met with his Russian counterpart Vladimir Putin on Sunday, calling for “joint efforts to promote world peace and development”. China’s Environment Ministry said on Sunday it has started emergency monitoring for radiation along its border with North Korea. Russia and the US have condemned North Korea’s latest nuclear test. North Korea conducted its sixth nuclear test on Sunday, which it said was an advanced hydrogen bomb for a long-range missile. 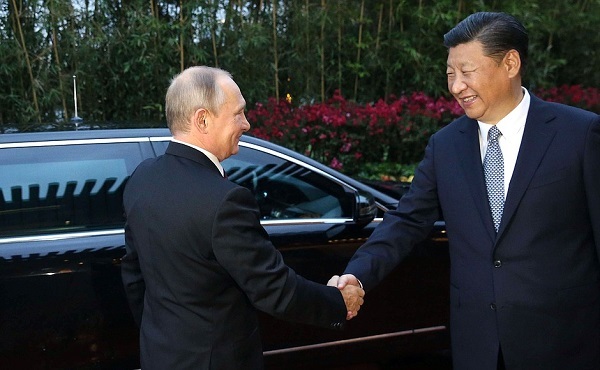 “I hope President Putin will have a beautiful memory of the trip to Xiamen, and I believe we will start the next golden decade of the BRICS countries,” Xi said. It was the fourth meeting between the two leaders this year. The North Korean crisis will figure in the talks between the five leaders of the BRICS.